Masterone is the steroid which is highly estimated both by competing bodybuilders and amateurs. The big popularity of the injection steroid in bodybuilders circles was provided by the extraordinary characteristics of the active substance. Drostanolone propionate is the synthetic derivative of dihydrotestosterone. Thanks to this, Masteron enanthate is not aromatized in any dosage and consequently the increased level of estrogens is not possible during its use. Since Masteron 100 is mostly androgenic steroid the athlete may increase the level of androgens without the risk to increase the estrogen level. This leads to clear toughness and sharpness of the muscles. However, we should make clauses here because Masteron propionate doesn’t automatically better the muscle quality at everyone. One of the reasons why the athletes use namely Masteron prop is that sportsman’s subcutaneous fat content before the competitions must be very low. In order to enhance the outside look of the muscles, Masteron is often used during last four weeks before the competition in order for the muscles to have the last “push”. 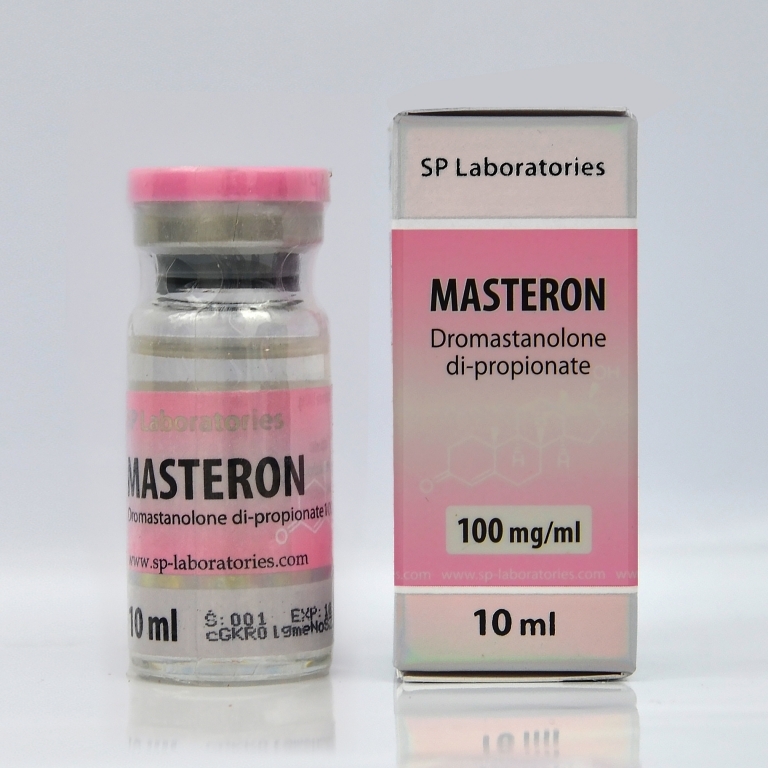 Masteron is especially effective in the combination with the steroids of Strombaject, Parabolan, Primobol and Oxandrolon type. The usual dosage that is used by the athletes is within 100 mg in two days range. Due to the fact that drostanolone propionate is released from the organism quickly, the often and regular injections are obligatory. This fact makes Masteron a very interesting steroid when the sportsmen must pass the after-competition doping-control. Since Masteron doesn’t remain in the organism of the athlete who used it for a long period in observable quantity, the athletes use the compound with great success two weeks before the doping test. However, since the given compound has anabolic characteristics, in this way it helps in constructing very quality musculature, that’s why Masteron is used not only for the preparation to the competition. The athletes who want to avoid water accumulation, those who have often problems with high level of estrogen should also pay careful attention to Masteron. In this case usually one ampoule (100 mg) is injected every second-third day. In combination with Primobol, Strombaject the athlete doesn’t have huge strength and mass but observes only high-quality and, not less important, they are kept well enough after the refuse from the preparations. Although females don’t use Masteron, some female athletes often use it before the championships. The observed dosages are 100 mg for every 4-5 days. Masteron is not toxic for the liver, so that its injuries are unlikely. The high blood pressure and gynecomastia are also not observed. The basic problem is acne and possible accelerated hair loss because dehydrotestosterone is connected very tough with the androgenic receptors, in particular, of the head. Because Masteron in most cases is not used in exclusively high dosages and its use, at the same time, is limited with some weeks, the athletes usually tolerate the preparation use very well.